Following the conviction of Alex Mann for ‘impeding traffic’ for 400m while biking up Dyers Pass Road, there was an interview on Radio New Zealand featuring Alex and senior sergeant Scott Richardson (Radio NZ interview link). He made the suggestion that cyclists should pull over and get off the road whenever a car approaches. Having subsequently discussed this with Scott it appears the 1min or so Radio interview cut out the 10 min he spent talking about the need for cars to overtake responsibly and safely, which just goes to show you need to treat any media report with strong skepticism as its often designed to increase the hysteria and not to find constructive ways forward. One big question I have is how to make that road safer. A reduction in the speed limit from 70km/hr on the uphill section of Dyers Pass Road would be a huge help, as would painting yellow no passing lines on the dozens of blind corners. Dangerous overtaking by cars will only become more & more of an issue when the mountain bike park brings thousands more cyclists up there every week, so lets get campaigning for a safer road. There’s minimal room for a cycle lane, and it is one of two roads over to Lyttelton. 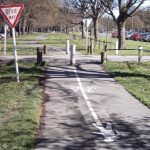 One option is to move the cyclists off to their own path/road but without forcing out the walkers and runners on the walking track. There’s an alternative route through Victoria Park, but there’s no road/path from the turnoff up to the top. And there are no other options at all on the south/Lyttelton side. This precedent has nasty implications for Wellington’s narrow and hilly areas. The legislation clearly allows for cyclists to take the lane if it’s unsafe to move left, but there’s an implication from the police here that if a cyclist needs to stop in order to pull over safely, that’s better than impeding traffic. This is clearly discrimination of transport modes. I’m certain that the Police just don’t get what it’s like to be a cyclist. Firstly, Alex rides a road bike, with cycle shoes, so his feet are locked into the pedals. He’s committed on this uphill leg of his ride, he can’t just dismount easily whenever he likes. Secondly, he’s an experienced cyclist, 18 years riding this route 3-4 times a week. He knows the road, he knows the traffic conditions. He wasn’t being a prat about this, he was legally allowed to be on the road he was on. The disparate speeds between himself and other vehicles is inevitable. Thirdly, the Police officer here obviously had an axe to grind. I know what this is like: about 40 years ago I was prosecuted for “inconsiderate use of a motor vehicle” because a couple of stones flicked up off my rear wheels at someone on a motorbike when going through a section of road works. This was back in the day when the Ministry of Transport was separate from Police. In my case, the complainant was Sargent MP Caldwell, who was the Prosecuting Sargent for Christchurch Police. It turned out he had an ongoing ‘joke’/rivalry with the MoT’s senior officer, and I was just a pawn in his ongoing game to have a dig at the MoT. The bizarre thing was that I actually knew Mr Caldwell – I used to sit next to him in the Addington Workshops Brass Band several years prior. Anyway, similar to Alex’s case, I chose to contest the charge but was convicted as the JP chose to take the officer’s version of events. Naturally, with Alex’s case, the Police won’t now admit they got it wrong. I remember being pulled over by a cop for speeding once, years ago. However I wasn’t mouthy or full of attitude. In fact I was honestly surprised at the speed the car had been going. Cops have a huge leeway in how they apply the law, and politeness and respect goes a long way. I’m supposing that Mister Caldwell may have come across the wrong way, resulting in a more punitive response from the officer than was strictly required. TL;DR? A little politeness goes a long way. Criggie – so we should cower and ask for forgiveness whenever we deal with police? Perhaps that’s the reality of it, but I’d rather my fate not be at the whim of someone who spent 6 months in police college. No need to kiss arse, but no need to be an “arrogant cyclist” the ones who give us all a bad name. If anybody receives a an instruction from a police officer that endangers their safety, and they can argue the case clearly, they should considering laying a complaint with Independent Police Conduct Authority: http://www.ipca.govt.nz/. Keep in mind the IPCA does not deal with contesting infringement notices and concentrate on the safety aspects. For example, I would complain if an officer attempted to force me to ride in the door zone. Unfortunately police are now governed by revenue and not necessarily logic. I was a cop when mot merged with police . A very bad day in my opinion. Now the money rolls in but as a consequence joe blogs gets pissed off with receiving minor infringement notices and ( I am one of them) because of this attitude by police many will not assist them when in my opinion it is important to solve CRIME. Alex Mann’s situation is typical. I am a competitive cyclist. I have a bus, heavy truck and trailer, car license . Pay all the relevant fees,taxes yet some morons say I shouldn’t be on the road on a bike because I don’t belong on a bike. From all the information available, Alex did everything right. Most of Dyers Pass Rd. above the Sign of the Takahe has no shoulder to pull over into at all and leaves little margin for error for cyclists when encountering cars doing 2-3 (and even more) times their speed. There are few if any opportunities to effectively and safely pull over, to demurely get “right out of the way (as if to acquiesce into non-existence)” even if one wanted to without falling into a ditch. That Alex is a cyclist riding as much as he does for as long as he has without death or (as far as I know) serious injury speaks volumes about his ability as well as his judgement. Go figure he gets pinged for the actions of a bad and inattentive driver whom put their own self at risk as well as Alex by their poor behaviour, their inability to hold true to the intent of the road rules. This serves as a warning to us all, and as if we don’t face an uphill battle (ha, ha) already, its a cause for advocacy, education and action. In my experience most cyclists and motorists largely familiar with the road conditions up and down Dyers Pass Rd. to get it right most of the time and there is a high level of respectful, mutual accommodation. Its an unusual situation in NZ to be frank, but enough cyclists and drivers traverse the route with sufficient regularity to get it right, most of the time. I wish this happened more often on other roads. But in this instance add into the equation a below par motorist having a hard, inordinately distracted time driving, well, the cyclist with a great deal more experience than said driver becomes the scapegoat. Go figure. I drive too, so maybe, just maybe, I’d be a more understanding if the same standard was applied to trucks, camper vans and towing vehicles among others whom travel slowly most especially on less than straight or level roads without pulling over for having, what is it, 5 or more vehicles pile up behind them. If it is SAFE. Hell, there are even situations where I as a cyclist have been held up behind motor vehicles travelling well below the speed limit (common in post-quake road repair-bound Christchurch) where I have been unable to pass. C’est la vie. If I were able to hold my breath for a thousand years can’t in my wildest imagination ever see that one being enforced in “favour” of a cyclist. I am not holding my breath. I’ve become accustomed to being ignored or rendered invisible by motorists in order to ensure my survival. Its an unavoidable reality and has served me well. For the better part I am agile and confident as a cyclist who knows how to occupy the lane, to claim the space. Nonetheless, I am almost “taken out” on a regular basis even when wearing my bright fluorescent cloak of invisibility. 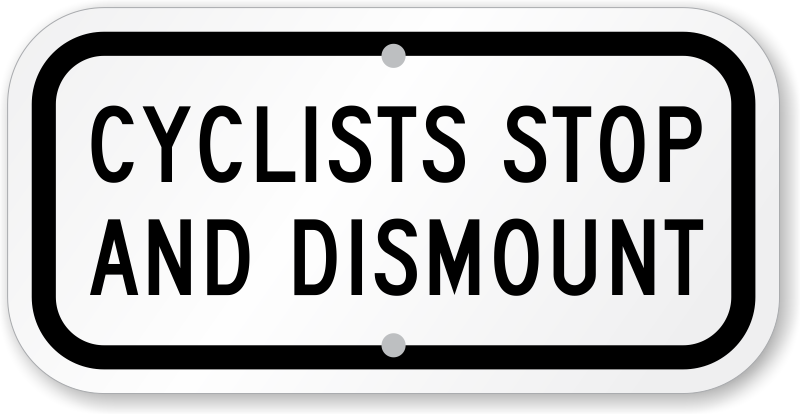 For too much of the part motorists don’t even know cyclists exist, are the last thing they appear to expect. That we dare to make our claim by safely occupying the space we are legally entitled to but are penalised for doing so sends an even more negative message. Excellent. I hope the weather, as well as the motor vehicular traffic, is with you. Good on ya. May the mud not be in your eye! Alas, recorded visual evidence does not overcome pre-conceived bias when it comes to law enforcement – or anything else for that matter if I am to get all philosophical. I cannot but think that a (proposed) journey such as yours – either up or down or in part but including Dyers Pass Rd. – will be all the more common once the lift chairs and the like are constructed for the forthcoming bike-park on “them thar hills.” Dyers Pass Rd. only promises to get a whole lot more interesting, even as it regularly hosts many of Christchurch’s most respectful drivers IMHO. Separated cycle paths everywhere are not going to happen. As the the simplistic and very expensive solution they represent (as if cost especially when sans “externalities” should be the sole arbiter of everything) they are one linear, exclusive way to go, but are not necessary. Active transport – including cycling – is good, but exclusivity is but one way to encourage it, and not necessarily the most effective. As I have said in a prior post, I am no especial fan of having separated cycleways “everywhere”, especially if cyclists are required to use them as if to get out of the way or otherwise render cyclists invisible to motorists whom too often act as if we are an inconvenience to be ignored at best. I fully recognise I speak first and foremost for myself?? 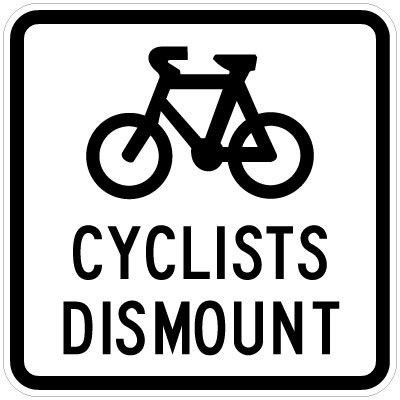 ?, and not necessarily for the cycling majority, nor for the many who claim they would cycle if only it were “safer”, something loosely defined but often equated with the provision of separated, dedicated cycleways. Having said the above, I do like white lines on roads demarcating cyclist space on busy roads. Its a shame they are so often disrespected and used a convenient “pull-over spot”, dedicated “car door opening zone”, corner cutting “short-cut”, road work “paraphernalia placement zone”, etc. Still, they seem to mean something to motorists at least some of the time, even more so with the type cycle lane separators currently making an appearance in this fair city. But in my opinion they are no replacement for better educated, better behaved motorists (and cyclists!) who not only see cyclists, but respect us. Moreover, they are just not necessary on most road relatively little travelled. Rather, I’d love to see a 30kmph max speed on all residential streets as well as in anything approaching a CBD-type zone of intensified activity. Hell, I’ll even settle in the first instance for a more even, equable and stringent recognition of the Road Code and its rule above all other rules of “driving to the conditions”, which includes recognising the presence of cyclists (and pedestrians). I have not biked in Sri Lanka but have done so in India, as well as US and Europe. NZ is worst, by the way: indeed, despite the hype, we are not a cycle friendly tourist destination as I’ve heard it from way too many foreign cycle-tourists and confirmed by my own comparative experience. US and European drivers were often “overly” respectful, oddly enough. In India, I never felt unsafe on a cycle even biking in the dark without lights (there was a method, if not an entirely convincing rationale), no cycle lanes necessary. Diesel fumes from poorly maintained Indian trucks are highly problematic for sure, but there is a way of using the road there which might take more time for some to get used to than others but which in my experience revolves around a mutual accommodation which works for all road users including motorists, cyclists, elephants, goats and chickens (even as its typical to see trucks poorly maintained regularly leave the highway in disastrous fashion). For the most part traffic travels slowly, but more than that there is a sense of flow without a cycle lane in sight which I don’t think we’ll ever be able to replicate here with our overriding “race in front at all costs”, “go for the gap”, “merge like a sledgehammer” mentality where the rules apply to everyone but me, eff anyone in my way. Which all goes to say the the provision of so-called cycle-friendly infrastructure singularly dedicated is just one way of addressing the problem, the most expensive but not necessarily the most effective. From my perspective, I’d far rather have a motor vehicle driver culture that recognises the inherent right of cyclists to exist and treats us (and pedestrians) accordingly. With the right directives and enforcement, I do believe it is possible. I’m not going to hold my breath for the former because its too hard in a sacred car worshiping culture, so cycle lanes we are going to get, albeit begrudgingly. Did the supposed “asian tourist” ever get located? I wonder what their view was. I have been cycling for 42 years, and not once have I heard of cyclist been told to get off the road til now. maybe the police should look at the drivers and tell them to be more respectful of other road users, I drove trucks as a job and saw enough to stop driving as car drivers cared little about their own safety or other others. Come on nz police pull your socks up and see the bigger picture. Get off your bike a car is coming , hmmmm so the same logic would say that if a cop is driving along in a cop car and an ambulance is wanting to pass him and there is no room the cop should drive over a cliff so the ambulance can instantly pass. And do not any one suggest the cop should speed up and race ahead as we all know that todays cops are such crap drivers they crash or cause others to crash once they get a couple of k’s over the speed limit. Next Next post: Groningen and Zwolle – the best for cycling?